Tomlinson IN-COUNTER/COUNTER MOUNT NAPKIN DISPENSERS are a superb cost-effective solution catering to a broad array of commercial size napkin dispensing requirements. The dispenser accommodates 5" x 6-1/2" sized napkins with horizontal fold. Sleek, ergonomic, and delivering napkin dispenser comes with multiple mounting choices like in counter or counter mounting for hassle-free access. Spring-loaded latch of the dispenser assures secure closing every time these are used. 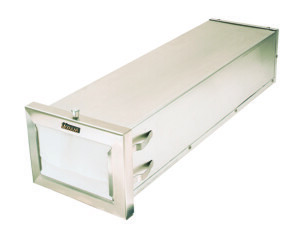 Moreover, Tomlinson offers two varieties of dispensers holding 250 or 500 napkins. Whatever the quantum of dispensing requirements you have, Tomlinson has a precise solution for you. Explore Tomlinson products for fascinating solutions that transform the environments around you forever.